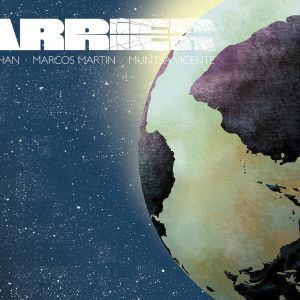 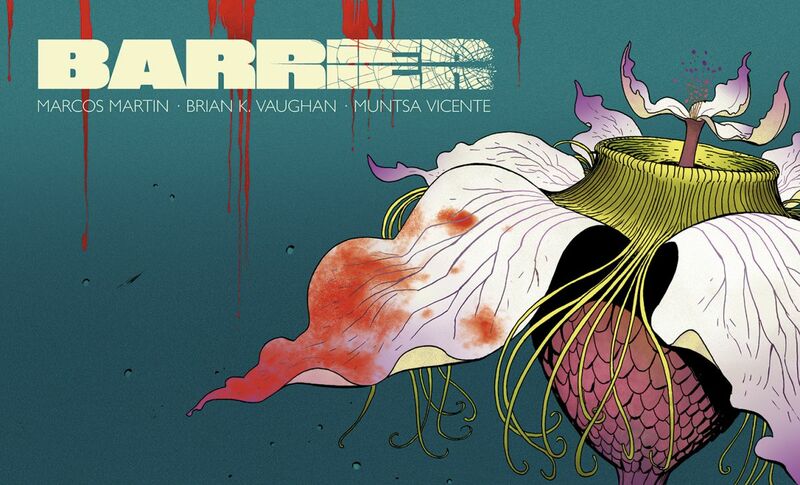 Brian K. Vaughan and Marcos Martin, the Eisner Award-winning creative team behind THE PRIVATE EYE, are reunited in BARRIER, the five-issue miniseries originally published in digital format via Panel Syndicate and featuring color work by Muntsa Vicente. 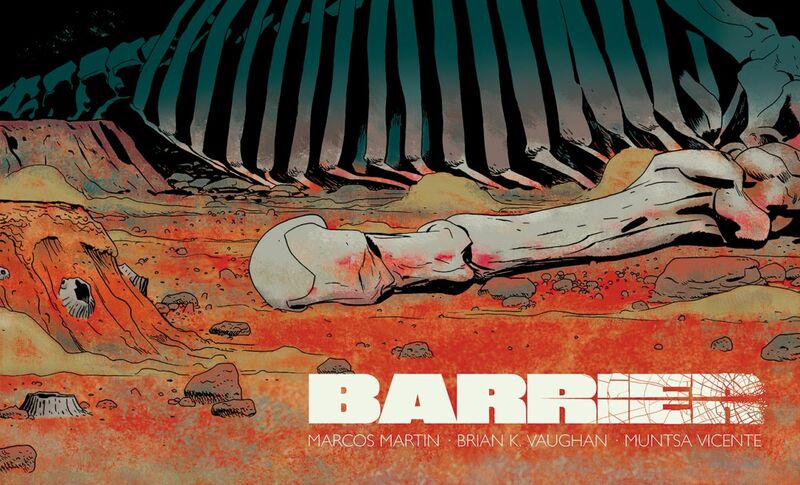 This May, all five issues will be available in print for the first time, exclusively from Image Comics. 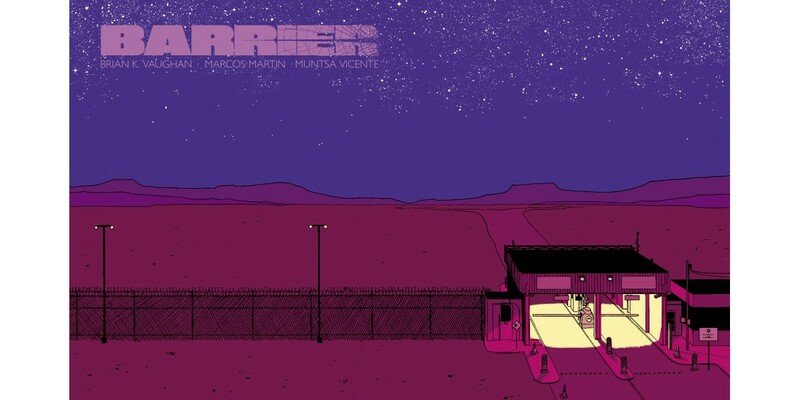 BARRIER is a truly unconventional drama that tackles violence, language, and illegal immigration—with a shocking sci-fi twist. 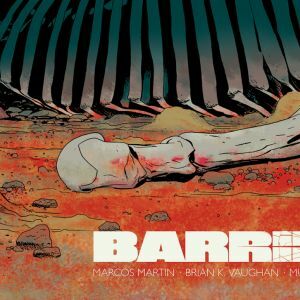 Printed in its original “landscape” format and graced with gorgeous cardstock covers, each comic is meant to be a durable work of art. 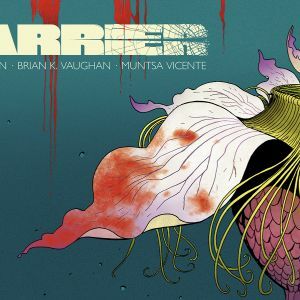 Mature readers will be able to pick up the massive 50-plus-page first issue for free on Free Comic Book Day on May 5th. 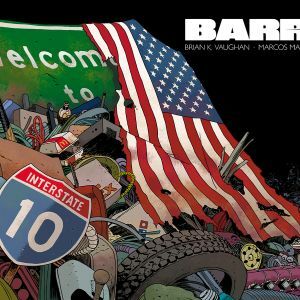 The following week, a special collector’s edition of the first issue will be released in a larger size to match the next four issues being released weekly throughout the rest of May. 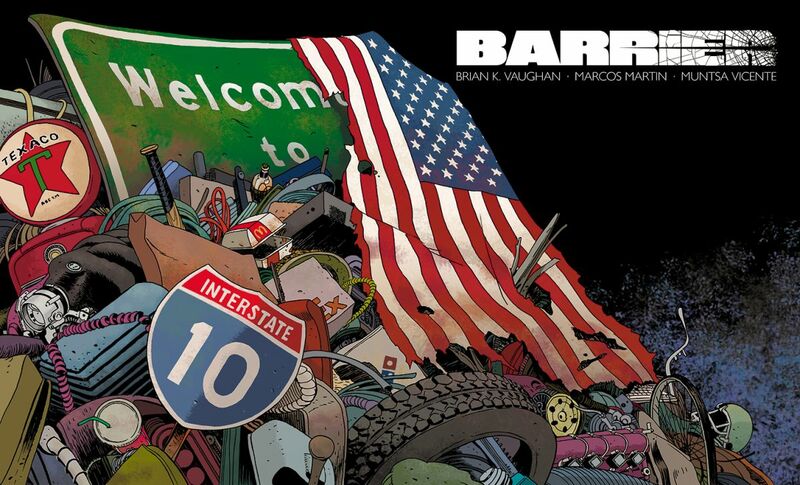 BARRIER #1 (Diamond code: MAR180571) and BARRIER #2 (Diamond code: MAR180573) hit comic book stores Wednesday, May 9th. 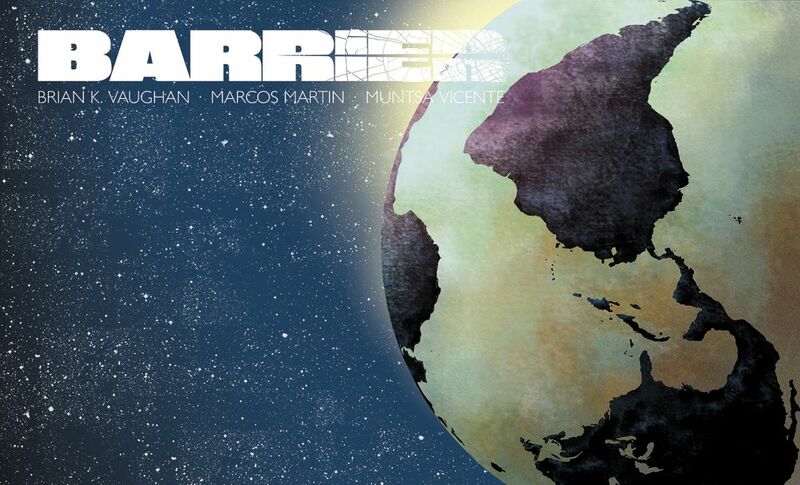 The final order cutoff deadline for comics retailers is Monday, April 16th.